This is the most significant change to PitStop Preflight since it was created 15 years ago. PitStop Pro 13 will allow the checks and fixes included in a Preflight Profile to be limited to certain aspects of a PDF. For example: a PDF page box, a certain page or several pages, a particular area or specific elements of a PDF, even different layers within a PDF file can each be checked in different ways, depending upon user requirements. The options for customising Preflight are now virtually endless. PitStop Pro customers have reported that lack of bleed was an ongoing major issue. Enfocus are pleased to announce that they’ve cracked that nut! PitStop 13 will automatically add bleed to PDF files! It mirrors individual objects close to or cross the PDF box to create bleed. These objects are completely editable for manual adjustments. Bleed can be generated for multiple objects, or for complete pages and documents. In PitStop 13, messages can be customised to reflect non-technical language that can include suggestions for corrections if necessary. In addition, the preflight messages can be translated into languages that are currently not supported by PitStop. For a full list of new features visit the PitStop Pro page. 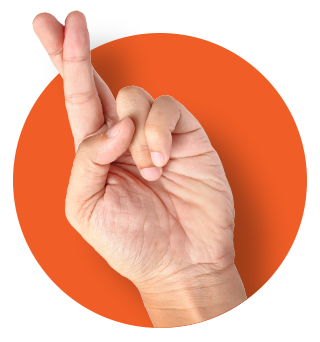 Is your attitude to cyber-security crossing your fingers and hoping for the best? Ransomware is a growing cyber threat affecting thousands of Australian small businesses every day, with attacks increasing 5-fold in 2016. 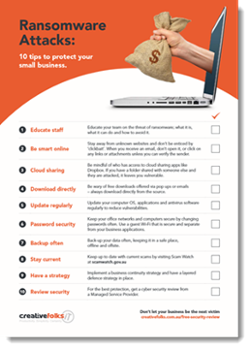 Protect your business from ransomware attacks using this powerful 10-point checklist. At Creative Folks, we get excited about making the business of communication easier. Get in contact with our dedicated team.